Jacob Moore, Creative Director of Beltway Park Baptist Church in Abilene, Texas, pictured with the church’s AV rack, featuring Focusrite RedNet interfaces. Photo courtesy of Jacob Moore. © 2015. The AV rack at Beltway Park Baptist Church in Abilene, Texas, featuring Focusrite RedNet interfaces. Photo courtesy of Jacob Moore. © 2015. The front-of-house audio setup at Beltway Park Baptist Church in Abilene, Texas, featuring a DiGiCo SD9 console and Focusrite RedNet interfaces. Photo courtesy of Jacob Moore. © 2015. The interior of Beltway Park Baptist Church in Abilene, Texas, with audio networked via Focusrite RedNet interfaces. Photo courtesy of Beltway Park Baptist Church. © 2015. Los Angeles, California, June 16, 2015 – Beltway Park Baptist Church in Abilene, Texas, has enjoyed tremendous growth since 1996, doubling its original building (South Campus) to 80,000 square feet in 2009 and expanding again with the opening of a newly constructed 48,000-sq.-ft. satellite North Campus in March 2015. Audio at both campuses is networked via Focusrite RedNet interfaces, which enable the distribution, routing and recording of services, praise bands and religious and secular events anywhere within the respective locations. Jacob Moore, Creative Director at Beltway Park, where he has been on staff for 14 years, is responsible for all media for the church. He designed the audio, video and lighting systems at both locations as well as the electrical distribution at the new campus. He oversaw the installation of the equipment at the North Campus by an in-house team through his consulting company, Earsight Design. Sound Productions in Dallas, the church’s preferred provider for the past 12 years, supplied the new equipment. At the new North Campus, which officially opened at the end of March 2015 and is located 12 miles across town from the site of the original church, RedNet 4 microphone preamps provide a 40-channel split from the worship center stage. The DiGiCo SD9 front of house console accesses the Dante™ network via a RedNet 6 MADI bridge. At the South Campus, a similar RedNet Dante network has been deployed that supports 48 channels from the stage, with a split, also via a RedNet 6, to a Digidesign Venue FOH console. Audio at both campuses may also be routed to a RedNet 5 Pro Tools interface for recording to a computer fitted with a Focusrite RedNet PCIe card as well as computers equipped with Dante Virtual Soundcard. The campus-wide Dante networks enable events taking place anywhere within the respective church facilities to also access the Focusrite mic preamps and various recording systems. 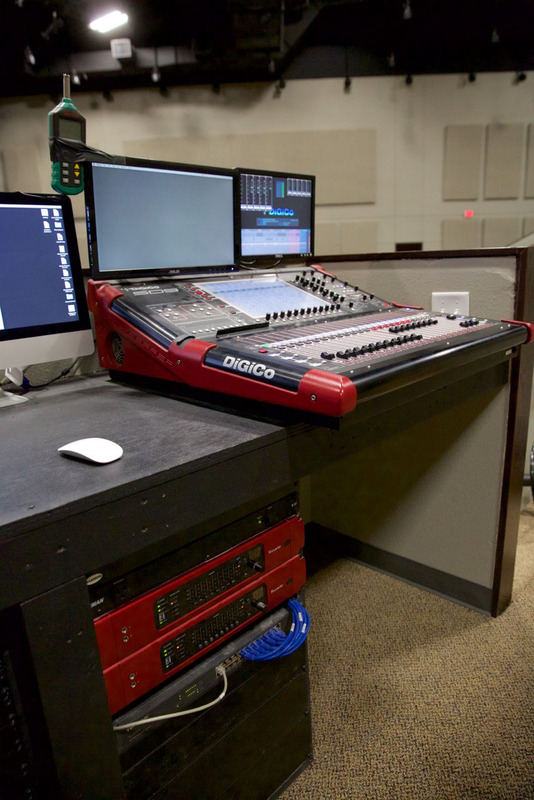 At both locations a variety of other Dante-enabled equipment is also connected to the network, including I/O interfaces and Behringer mixing consoles, for use in smaller venues around each campus. The Dante networks run on an HP ProCurve 10 Gigabit Ethernet backbone that carries additional traffic, including other audio transport protocols, DMX lighting command data and multiple streams of IP-based HD video. 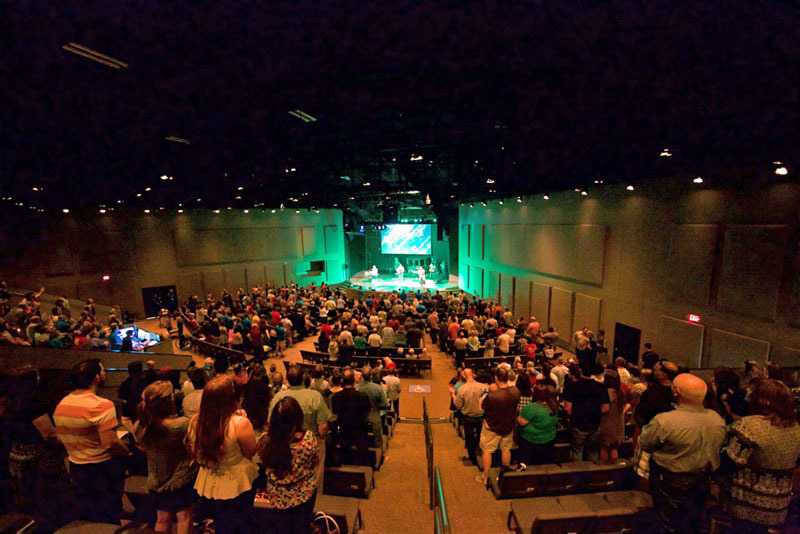 The North Campus has its own worship leader, live praise music band and campus pastor, and additionally receives an HD video stream of services being held at the South Campus. 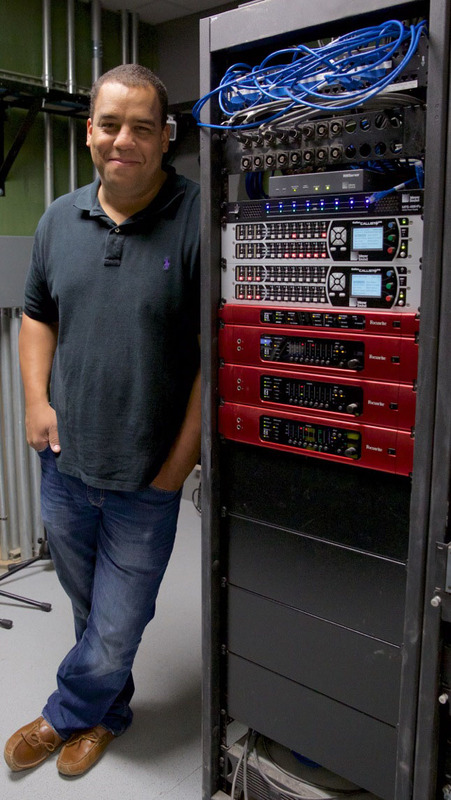 Photo Caption 1: Jacob Moore, Creative Director of Beltway Park Baptist Church in Abilene, Texas, pictured with the church’s AV rack, featuring Focusrite RedNet interfaces. Photo courtesy of Jacob Moore. © 2015. 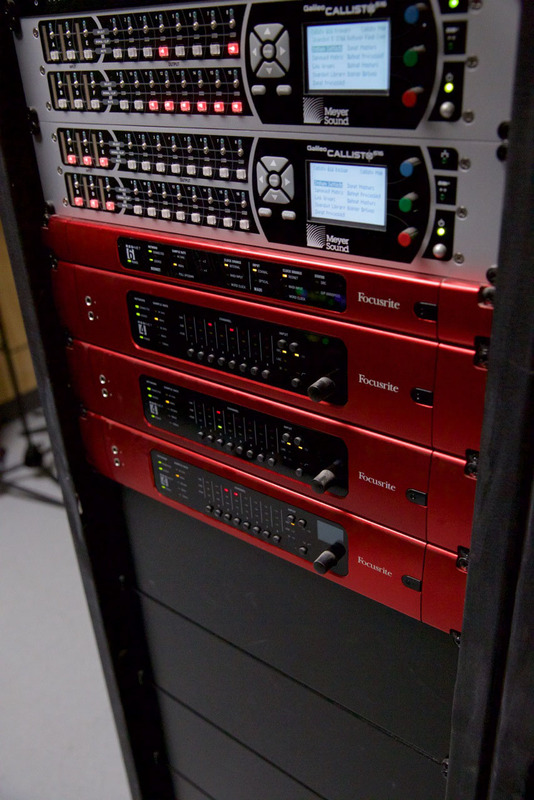 Photo Caption 2: The AV rack at Beltway Park Baptist Church in Abilene, Texas, featuring Focusrite RedNet interfaces. Photo courtesy of Jacob Moore. © 2015. Photo Caption 3: The front-of-house audio setup at Beltway Park Baptist Church in Abilene, Texas, featuring a DiGiCo SD9 console and Focusrite RedNet interfaces. Photo courtesy of Jacob Moore. © 2015. Photo Caption 4: The interior of Beltway Park Baptist Church in Abilene, Texas, with audio networked via Focusrite RedNet interfaces. Photo courtesy of Beltway Park Baptist Church. © 2015.